For PWG standards and vendor product design documents. 7,716 new characters and six new scripts. <http://unicode.org/reports/tr51/> is being released at the same time. describes how they are selected for inclusion in the Unicode Standard. and providing other useful information. 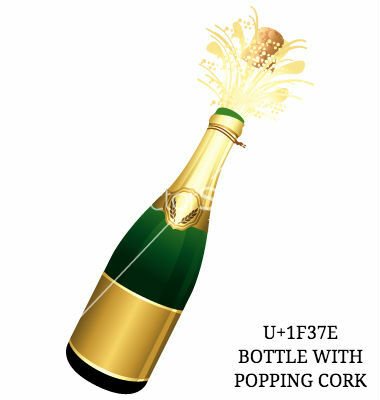 be able to see colorful images such as the BOTTLE WITH POPPING CORK above. 8.0, see Unicode 8.0 <http://unicode.org/versions/Unicode8.0.0/>.